Hunting around for foods that help you get longer, thicker hair? 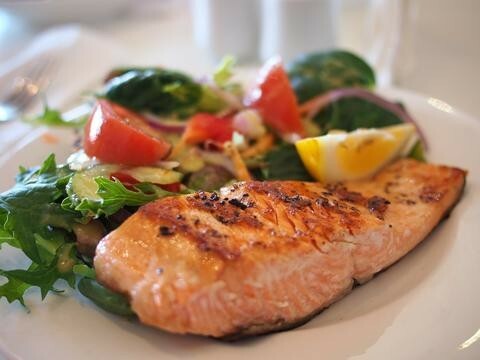 If you pay attention to what you eat, you may be able to stop hair loss and help to speed growth. The number one thing to do is to eliminate unhealthy junk food. Processed food-like items hurt the body and starve your hair follicle cells of badly needed nutrients. After you get rid of junk, choose your favorites from the list below. This fatty fish is one of the best beauty foods you could ever consume. It comes loaded with protein and omega-3 fatty acids. These essential fatty acids help improve the hair follicle cell function for healthier hair. But even salmon has some drawbacks. It contains mercury and PCB’s, so you’ll want to limit your consumption to only 2-3 times per week. However, it’s crucial to consume omega-3 fatty acids daily because your body relies on them to maintain cellular health. Try supplementing with fish or algae oil to get the benefits daily. You may have already heard about using egg treatments for your hair, but did you know that eating the eggs is great for your mane too? Eggs contain protein and b vitamins, including biotin. Biotin is known to promote healthy hair growth and it is the primary ingredient in most hair, skin, and nails vitamins. Eggs also contain iron and selenium--two perfect minerals for growing thick and lustrous hair. Nearly all the nutrition is contained within the yolk, so be sure to eat whole eggs. The healthiest ways to eat eggs include hard-boiled, omelet-style, and scrambled in coconut or avocado oil. You can always find room to add avocado on your plate. It’s loaded with antioxidants, fatty acids, pantothenic acid, and several key hair vitamins. It can help to grow healthier hair, and the healing properties will assist in reducing scalp inflammation. And don’t worry about the fat in avocado. Heart-healthy avocados contain monounsaturated fatty acids that keep the cardiovascular system strong. Plus, they’re a great source of fiber. 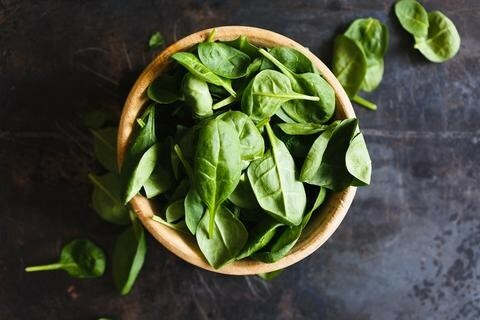 This leafy green veggie is loaded with minerals needed for hair, like iron and magnesium. If you suffer from anemia, getting enough iron through leafy greens is a must. When you eat nutritious foods, the body always chooses to feed vital organs like the heart and liver first. Then it gives any leftover nutrients to the hair, skin, and nails. Making sure you get enough nourishment will help you meet your hair and beauty goals. Always consult with a doctor if you think you may have anemia, and especially if you’re considering supplementing with iron tablets. Okay, liver is probably not your favorite dish, but it does do marvelous things for your hair and body. Liver contains a mega-dose of vitamin A, which helps to strengthen hair. It also contains biotin and copper, both of which help increase elasticity and reverse gray hair. One of the best ways to eat liver is to make your own pâté from chicken or beef. Pâté will cut the organ taste and make liver more palatable. If you still can’t stand it, consider taking odorless desiccated liver pills for the same benefits. Aim to eat liver once or twice per week for the best results. These nutrient-dense tree nuts are particularly good for hair because they are rich in protein, minerals, potassium, biotin, zinc, and vitamin E. Eating them regularly will help to reduce hair loss. In fact, if you’re suffering from alopecia, you may want to incorporate walnut oil into your regimen too. This unique oil will help to reduce inflammation of the scalp, fight dandruff and fungal infections, and heal the follicles. Try dropping a few nuts into your breakfast smoothie, for increased hair growth. Eat about 12 walnut halves per day and massage your scalp with the oil three times per week to see excellent results. You may have already bought a bottle of almond oil for your hair, but have you thought about incorporating them into your regular diet? Almonds contain antioxidants to protect against the aging effects of the scalp. Plus, they come loaded with vitamin E.
You’ve probably heard about applying vitamin E to the hair, but consuming it will help to maintain proper body function. Almonds will assist in reducing dandruff, shedding, and gray hair. These tasty tree nuts also have magnesium and vitamin A, D, B1, B2, and B6. Eat almonds straight from the bag or consume it as a butter. Almonds can spoil rather quickly, so be sure to store them in the fridge for a longer shelf life. This bright orange wonder is a miracle food for hair. They’re rich in vitamins A, K, E, C, and an array of B vitamins. Carrots are full of beta-carotene, phosphorous, and potassium too. What exactly do carrots do for hair? They help to produce sebum, which leads to healthier, shinier hair. Sebum is your scalp’s natural oil, and it helps to protect your strands. In fact, you might even find carrot oil listed in your favorite beauty products because it can heal the skin and hair when applied topically. 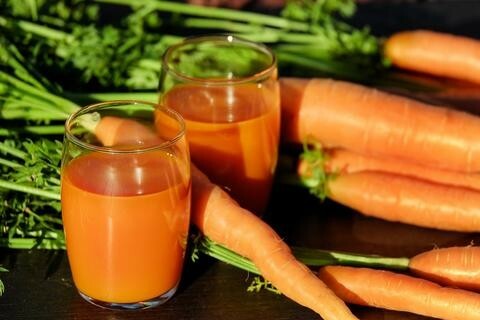 Raw is the best way to eat a carrot, as cooking them would destroy some of their amazing nutrients. It’s very easy to slip a small bag of raw carrots into your lunch every day. They’re an inexpensive treat that can serve as an ideal replacement for chips. Are you ready for fuller, stronger hair? Incorporating each of these foods into your diet will get you better hair in a shorter time than if you were to only use topical products. Vitamins and minerals are wonderful for hair, and they are best eaten in their whole form. Always aim to get most of your nutrition from food, and then back it up with supplements to make sure you’re meeting the recommended daily requirement of each nutrient. What about you? Which beauty foods have you eaten to grow longer, healthier hair?